The organization must choose personnel to use the new system and train them to perform their system-related duties. The system’s users must be educated about the new system’s purpose, function, and capabilities. Such training becomes even more important if jobs have been redesigned during business process reengineering. Training may come from a combination of schools run by software vendors, hardware vendors, vendors specializing in training, and programs conducted by the organization itself. Computer-assisted learning, such as interactive tutorials, might also be used. Online HELP and EXPLANATION facilities, along with well-designed screens and reports, can reduce the amount of up-front training necessary and provide ongoing guidance to system users. Computer-based training (CBT) provides learning via computer directly to the trainee’s computer screen. Training may be delivered over the Internet by vendors whose business it is to design, produce, and deliver such training. 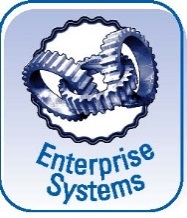 Enterprise system vendors, such as SAP and J. D. Edwards, have created extensive CBTs to help users learn the features of their systems. CBT can be much less expensive than lectures, and it also permits individualized instruction, which can take place when and where needed. The interactive nature of CBT can get and keep a trainee’s attention. However, some employees, particularly middle and senior management, prefer more personal, traditional delivery methods.